President Akufo-Addo has visited injured victims of the Atomic Junction Gas explosion who are receiving treatment at the Accra Regional Hospital. Seven people were confirmed dead in the aftermath of the blast, while 132 people sustained varying degrees of injury. 68 are receiving treatment, while 64 others have been discharged from the various hospitals across the capital. 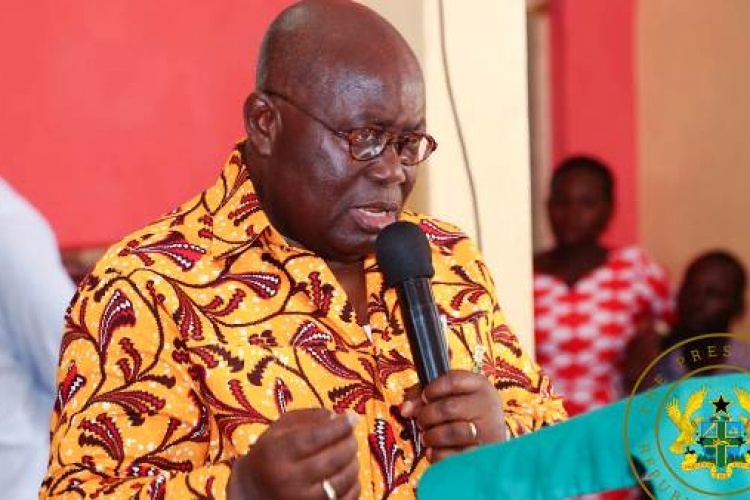 The President, who had been on a tour of the Northern Region when the incident occurred, had tweeted earlier that he was devasted by the lives that had been lost to the explosion. He was then briefed on the current situation by the Chief Executive Officer (CEO) of the National Petroleum Authority (NPA), Hassan Tampuli. The residents of Atomic Junction in Madina were thrown into a state of panic following the explosion at the gas station which spread to adjacent structures. The huge fireball from the explosion could be seen with many people in the vicinity taking to their heels in a bid to escape the blaze. Vice President, Dr. Mahamudu Bawumia, had earlier visited the survivors of the explosion where he sympathized with them and wished them speedy recovery. He had said early on that government will foot the medical bills of the injured persons, as efforts are being made to introduce a policy that will sanitize the fuel retail sector to avoid such explosions. Nearly 30 lives have been lost to about eight gas explosions in the last four years, aside the twin disaster of flood and fire on June 3, 2015, which killed nearly 150 people.